There are several styles of complex, and a building may combine one or two of these styles. The style of building you seek depends on the location and the type of business you want to run. Generally located in holiday tourist areas, the building must be promoted to attract holiday makers for short to medium stays.Management Rights play an important role in all tourism zones by providing accommodation for guests on holidays. Guests require a higher level of service but the returns are greater for the Resident Unit Manager. Office hours are generally 6 – 7 days a week. Marketing is an important component of operating any holiday building. Advertising your building on your own website and other accommodation websites, print media, trade shows etc. all play a part. A typical permanent complex comprises a number of units or townhouses designed for long term accommodation – over 3 months. A typical permanent complex comprises units or townhouses that are designed for longer term accommodation – 3 months and over. There is less marketing than holiday buildings and front office duties are less demanding. Office hours are less frequent ( no office hours are set by the body corporate). The role of the Residential Unit Manager (RUM) is to source good tenants, collect rent, and uphold the by-laws of the complex. It is critical to develop a good working rapport with your tenants and owners. This type of complex is usually located near a university. Very similar to a permanent complex it may have a number of permanent rental properties as well in the complex. It is common for rooms to be leased out rather than the individual unit. You may have 4 leases for a 4 bedroom dwelling. The rental returns can be much higher than a standard permanent complex. Additional services may have to be provided – buses to drive students to university. This type of complex/ building is usually in the central business area. It is very similar to a holiday building, however there may be no additional facilities – pools, BBQ’s, Gymnasium, tennis courts, as the typical guest would have no requirement for these facilities. Corporate buildings offer short to medium stays. They are usually serviced apartments with some providing cooking facilities. Start-up purchases either off the plan or direct from the developer should be approached with a clear knowledge of the business model. In most cases lenders prefer experienced management rights operators although other complementary experience is generally well regarded. Off-the-Plan purchase contracts will be predicated on a projected net profit which should be the subject of an accountant’s report, inclusive of projections and assumptions. The management rights contract should contain appropriate “claw back” provisions to ensure that any short fall in initial letting pool numbers is adjusted in terms of the purchase price. Generally the contract will specify an adjustment amount per unit for any letting pool shortfall. The purchaser then provides the stakeholder (usually the vendor’s solicitor) with a bank guarantee for the shortfall (retention amount) on the basis that provided the letting pool shortfall is made up within an agreed time frame (retention period) the balance purchase is paid via a call up of the bank guarantee. If there is still a shortfall at the end of the retention period (the adjustment date) the bank guarantee sum is partly allocated in line with the number of units achieved in the letting pool during the retention period. Off the Plan contracts should specify a minimum letting pool number in order for the transaction to settle. Generally this is the minimum number of units required to make the proposition viable. 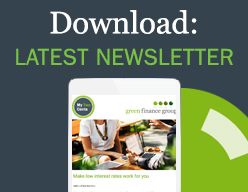 At Green Finance Group our Management Rights Finance Specialists work with Management Rights businesses on a weekly basis and have a thorough understanding of current market trends, opportunities and challenges. If you are considering the purchase of a Management Rights business and would like some general guidance on where to start or what to look for, we can help. Please give us a call on 07 3899 2866 or complete your details below and we’ll be in touch shortly.